Document Management software are mostly used in big organizations with multiple teams and employees, and it works brilliantly for individuals too. Personal Document Management software can helps solve many problems such, reduce physical storage space, save effort in looking for documents amongst huge heaps of Files, etc. Personal Document Management Software have increased efficiency as they store all your data and e-documents at one place, lets you edit them and access them as and when you like. They also enhance the security of the documents by keeping them confidential and helping you comply with various rules to maintain and share documents. Read on to know more about the best Personal Document Management Software. If you want a Personal PDF Document Management Software, PDFelement Pro will be a great choice. With PaperTracer document management software for home or home office, it can quickly turn paper into searchable computer files, easy to store and find them, and simple to change them later (even PDFs). This Personal Document Management by integrating paper and digital documents into a centralized database for your contract or document management. Its tracking and reporting capabilities simplify audit procedures to support management and regulatory compliance requirements for your workflow processes. Efficiently Optimize Your Contract Management Workflow. Automate Onboarding, Reduce Paperwork, Increase Compliance, and Securely Store Documents. 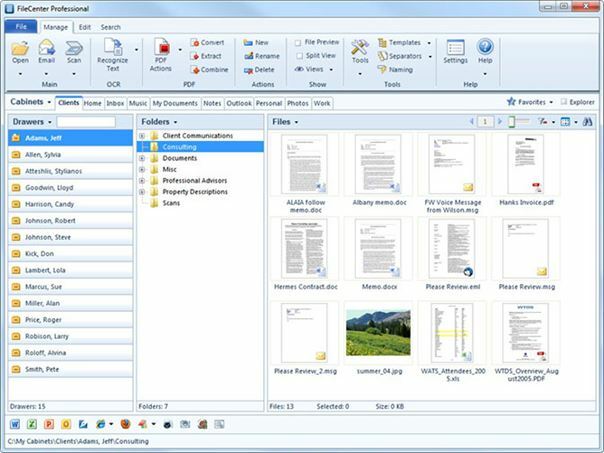 FileCenter is especially designed for Windows competes to manage documents. It can scan files, edit PDF Files, edit scanned documents and search for files instantly. It is proffered over other software because it does not require a special SQL server to be installed before using it. It is integrated with Dropbox, Google Drive and OneDrive. It is equipped for contract management, document indexing and full text searches. 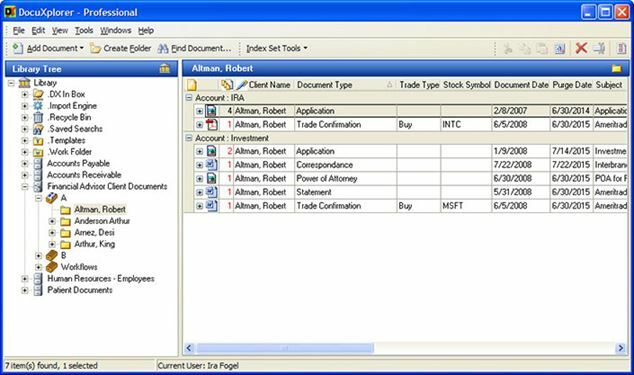 Folderit is another Document Management Solution for Windows computers. The reason many prefer it for personal use is because it is an online Personal Document Management, and this software is easily store, share, manage and approve your digital documents. It enables document indexing and full text searches. Organizes data as per your needs and e-mails it packed in folders, with tags or as meta data. It searches engine finds your documents quickly. eDoc Organiser is a dual purpose Document Management Solution as it is great for businesses and for personal use too. It has a feature called “Labels” which allows its subscribers to differentiate between their documents and organize them under different headings. Also, it has the flexibility to choose from its cloud based version, on premise version and enterprise edition to take care of needs of bigger organizations. Its Search engine lets you search for documents on the basis of their names, date or OCR. It can save documents as PDF enabling you to share your documents securely. It stores, compares and analyses your petty documents to save time, money and effort. DocuXplorer's Personal Document Management Solution is very user-friendly and fully functioning. It can make unlimited types of folders and drawers to store, segregate and classify your documents conveniently. It is very economical for single users and highly recommend for those who would like to manage their documents on their own. It enables full text searches, document conversion, archiving and document retention. 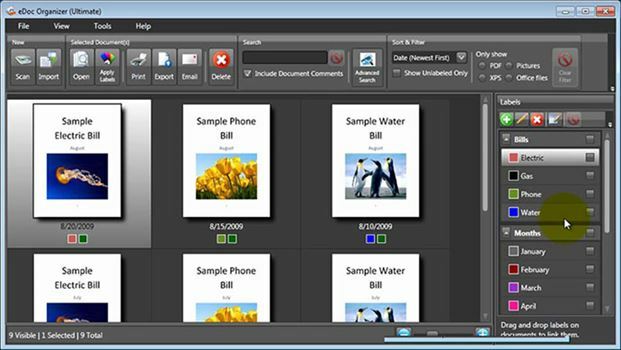 Its OCR technology lets you edit scanned documents as well. Helps you comply with various rules and regulations to maintain and store documents. PDFelement ProPDFelement Pro is a professional and excellent PDF Document Management, it helps users to easily convert, edit and share PDF Files in a hassle free manner. You can convert PDF files to Word, PPT, Excel, Image and other popular file formats. It also allows you to create PDF from other files and encrypt your files as well. Advanced OCR feature allows you to edit and convert scanned documents. Not only will this document management software allow you to easily manage PDF, it also comes with the full features to help you share PDF files with Google Drive, Dropbox and email. Make any Forms Fillable. 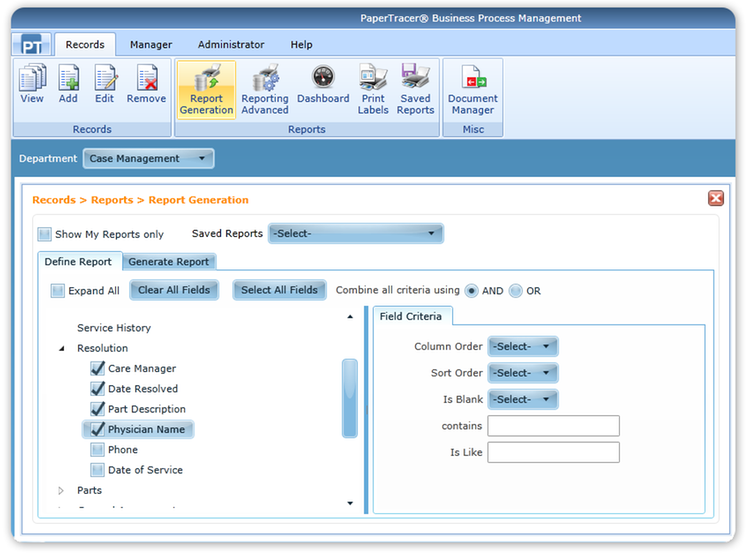 Automatically Form Field Recognize and Freely Import and Extract PDF Forms Data. Create and convert PDF documents to Word, PPT, image, EPUB, text, HTML and more. OCR technology allows your machine to analyze scanned images as text files. It supports batch PDF file conversion to other formats. Encrypt PDF with Specified Level of Password Protection and Watermark. Quick Sign PDF with Signature.